April has turned into a really busy month for me and unfortunately that means that writing has taken a hit. Luckily things should start easing up a bit with work soon and I will hopefully get to start writing on a more regular basis. April saw a nice uptick on the income side of the equation with a total of $8,289.67 for the month. Even better is that doesn't include the fairly hefty refund check we received from our taxes. Our expenses were down for the month by around 11% to $3,088.59, although that was primarily due to the one-off travel expenses incurred in March. With an increase in income and decrease in expenses that means that the savings rate bumped higher for April. Based on total income (pre & post tax work income, taxable dividends, interest) we had a solid 63% savings rate during April. Based on work income alone the savings rate was still a solid 61%. 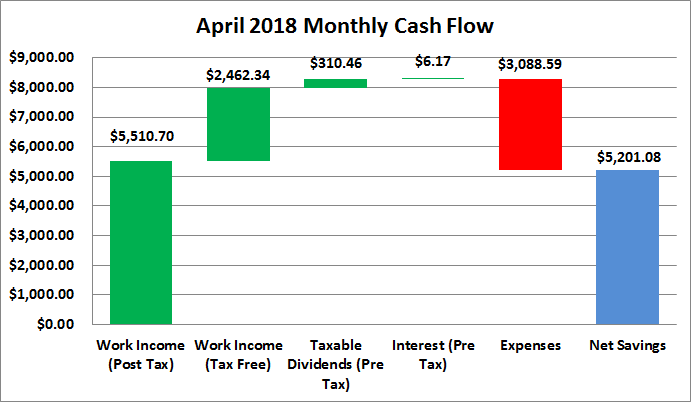 Truly passive income, dividends and interest, totaled $316.63 during April which was about a $37 increase from January. *Dividends are from my taxable accounts only. Based on April's spending the passive income for April covered 10% of expenses. Thus far in 2018 I've totaled $1,914.73 from income outside a traditional day job. Things are really starting to take hold and our plans are working out, for once...or for now. Now that taxes are out of the way it's time to build up the savings account to have some cash set aside for emergencies and our planned family vacation in July. Once we get to about $10k of cash plus the cash for the vacation it'll be time to switch to aggressive debt reduction. How is your monthly cash flow situation? What are you doing to increase your savings? 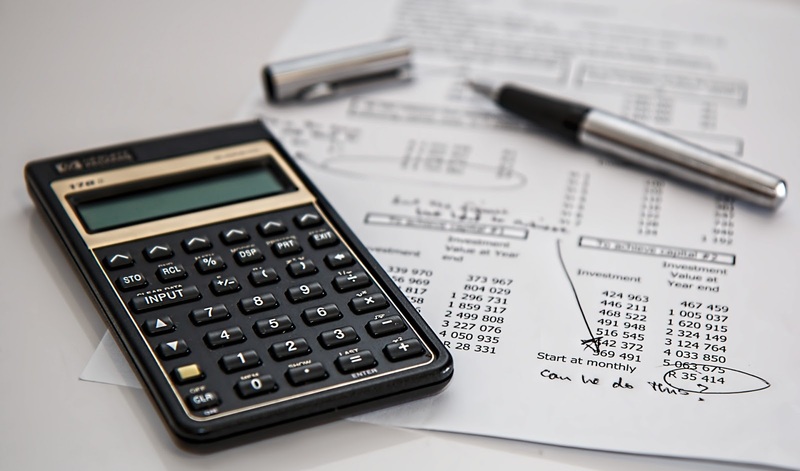 Focusing more on increasing income or reducing your expenses? Yeah, things are really starting to come together for us now which is very much welcomed. I'm hoping by June to start with the aggressive debt reduction and can't wait to see those 2 payments go away. But what's really exciting is the possibilities once we get those debts out of our lives because that's potentially around $4-6k per month that we can start investing and building up our portfolio once more.